Angela brings over 30 years’ experience of working as a Clinical Psychologist. She has practiced in community and hospital settings in her home town of Adelaide, and interstate. She was the first Paediatric Clinical Psychologist at the Prince of Wales Children’s Hospital in Sydney, and continued to develop her skills and knowledge of childhood disability while at the Royal Children’s Hospital in Melbourne. While Angela enjoys seeing children, young people and families; she has also had extensive experience helping adult clients as part of private practices in Adelaide and Melbourne, and in context of her work with a large provider of Employee Assistance Programmes. Over the past 10 years Angela has been pursuing her passion for applied clinical research in addition to her clinical practice. She has expert understanding of issues facing carers, especially the challenges parents experience when balancing work and care of children with disabilities. Before joining Attuned Psychology, Angela was one of the team of people at Flinders University engaged in the formal evaluation of the National Disability Insurance Scheme (NDIS). 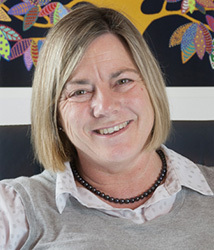 Angela is a Visiting Clinical Senior Lecturer at Adelaide University and is regularly invited to teach psychology and disability studies students at all three local universities. Angela has a strong commitment to evidence based practice and draws upon her training in cognitive behaviour therapies to provide the most effective therapeutic interventions for her clients. She firmly believes in the importance of ongoing professional development, and during her practice as a Psychologist has acquired skills in family therapy, relationship counselling and parenting interventions. Angela is approachable and empathic, and works hard to ensure her clients feel understood and achieve good outcomes. Crettenden, A., Lam, J., & Denson, L. (under review) Grandparent support of mothers caring for a child with a disability: Impacts for maternal mental health. Research in Developmental Disabilities. Cole, L., Crettenden, A., Wright, A., Roberts, A, (2016). The experience of sole-mothers balancing paid work with care for a child with a disability. Australian Journal of Social Issues, 51, 317-339. Wright, A., Crettenden, A., and Skinner, N. (2016). Dads care too! Participation in paid employment and experiences of workplace flexibility for Australian fathers caring for children and young adults with disabilities. Community, Work and Family, 19(3), 340-361. Maher, C., Crettenden, A., Evans, K., Thiessen, M., Toohey, M. & Dollman, J. (2015). Fatigue is a major issue for children and adolescents with physical disabilities. Developmental Medicine and Child Neurology, 57(8), 742-747. Crettenden, A., Wright, A., & Skinner, N. (2014). Mothers caring for children and young people with disabilities: Intent to work, patterns of participation in paid employment and the experience of workplace flexibility. Community, Work and Family, 17(3) pp. 244-267. Crettenden, A., Wright, A., & Beilby, E. (2014). Supporting Families: Outcomes of placement in voluntary out-of-home care for children and young people with disabilities and their families. Children & Youth Services Review, 39, 57-64. Maher, C., Crettenden, A., Evans, K., Thiessen, M., Toohey, M. . & Dollman, J. (2014) A pedometer based physical activity self-management program for children and adolescents with physical disability – design and methods of the StepUp study, BMC Pediatrics, 14, 31. Crettenden, A., & Zerk, D. (2012). Child protection and psychology education in Australian universities, Australian Psychologist, 47(2), 77-89. Sawyer, M., Bittman, M., LaGreca, A., Crettenden, A., Borojevic, N., Raghavendra, P., & Russo, R. (2011) Time demands of caring for children with cerebral palsy: What are the implications for maternal mental health, Developmental Medicine and Child Neurology, 53(4), 338-343. Sawyer, M., Bittman, M., La Greca, A., Crettenden, A., Harchak, T., & Martin, J. (2010). Time demands of caring for children with autism. What are the implications for maternal mental health? Journal of Autism and Developmental Disorders, 40(5), 620-628.